Premium hypoallergenic complete dog food, free from ingredients that can cause intolerance. 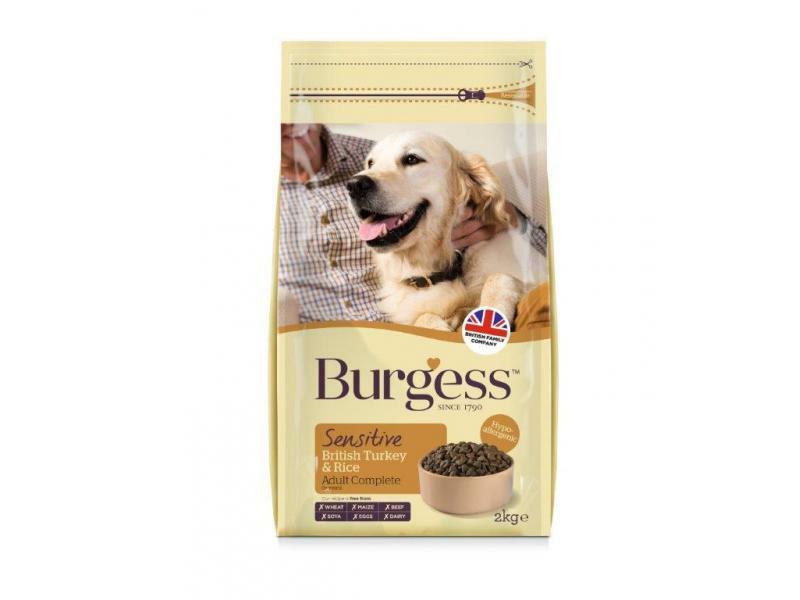 Made with British Turkey & Rice plus functional ingredients to keep dogs healthy on the inside and out. Rice (min 26%), Turkey Meal (min 26%), Unmolassed Beet Pulp (5%), Poultry Fat, Whole Linseed (3%), Digest, Fish Oil (1%), Lucerne (1%), Oat Feed, Seaweed (0.5%), Sodium Chloride, Di-calcium Phosphate, Fructo-oligosaccharides (0.1%), Yucca Extract (0.025%), Minerals. Vitamin A (retinyl acetate) 30,000 iu/kg, Vitamin D3 (cholecalciferol) 3,000 iu/kg, Vitamin E (dl Alpha tocopherol acetate) 180mg/kg, Coper Sulphate Pentahydrate 32 mg/kg, Calcium Iodate Anhydrous 2.38mg/kg, Sodium Selenite 0.33mg/kg, Ferrous Sulphate Monohydrate 133mg/kg, Manganous Oxide 16mg/kg, Zinc Sulphate Monohydrate 333 mg/kg. 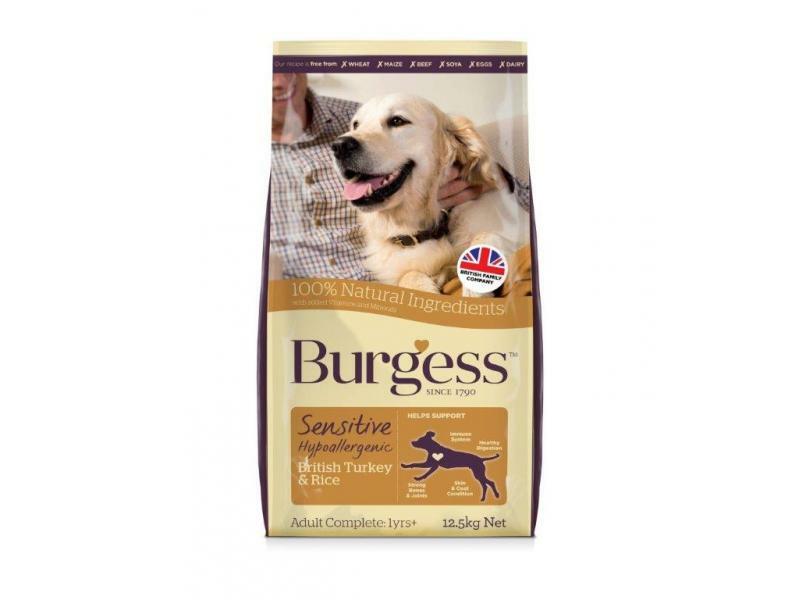 There are currently no questions for Burgess Sensitive Adult Complete British Turkey & Rice Dog Food - be the first to ask one!